The Automated Technology Group specialises in providing a comprehensive, one-stop solution. 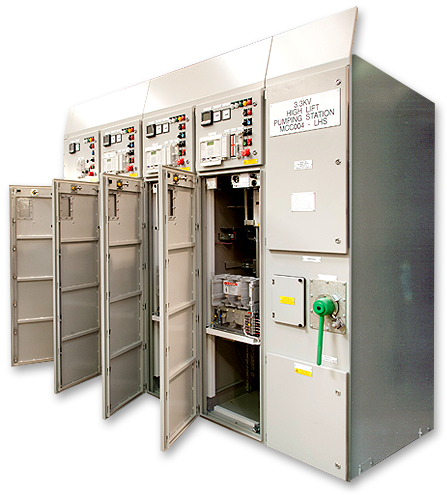 With a range that features medium voltage distribution switchgear, oil and dry type transformers, medium voltage cabling, medium voltage motor starting, low voltage distribution, low voltage motor control centres and associated PLC/SCADA packages – including all associated site work and commissioning – we can tailor the optimal solution to meet the end user’s requirements. We allocate dedicated project managers who provide a single point of contact to ensure schemes are delivered on time and within budget. Our project managers are adept at organising complex tasks across multiple industries – and even countries – simultaneously. With Prince 2 certified personnel, fully integrated commercial management and tracking tools and video conferencing suites at key operating locations, we are able to manage your project, every step of the way.